Illinois State alum Michael Bucek with Kansas City's American League Champions trophies and the 2015 World Series trophy. 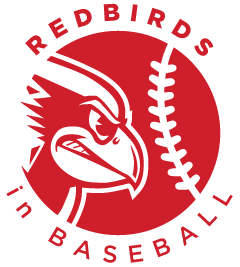 When the Kansas City Royals ended a 30-year drought last November by beating the New York Mets in the World Series, the victory was extra special for one Redbird alum. 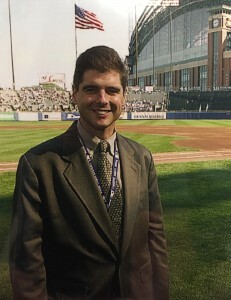 It was the first time in Michael Bucek’s four-decade run in the front offices of three Major League Baseball franchises that his team won the title. Bucek had been hired in 2009 as the Royals’ vice president of marketing and business development. He came aboard as the once proud and popular franchise had just suffered its sixth consecutive losing season and again placed near the bottom in major league attendance. Fast forward to 2015, and the Royals were making their second consecutive appearance in the World Series (they lost a heartbreaker in 2014). They also set a franchise attendance record by drawing 2.7 million fans and attracting the highest local TV ratings in all of Major League Baseball. It was another turnaround for Bucek, who has made a habit of helping franchises resurrect their profiles in their home markets. Though he trained to be in broadcasting, Bucek has excelled in the world of sports marketing and management. For the Royals, Bucek oversees the team’s marketing, branding, social media presence, game presentation, corporate partnerships, and ticket sales. Bucek graduated from Illinois State with a degree in mass communications. He had helped start University’s student-run radio station, WZND, and worked at the local NPR affiliate, WGLT. Bucek decided to go into sports management early in his career once he realized that sports franchises could do a lot better job of marketing themselves. It turned out to be the right decision and one that earned him an induction last year into Illinois State’s College of Applied Science and Technology Hall of Fame. “I was very fortunate that ISU gave me a great platform,” Bucek said. 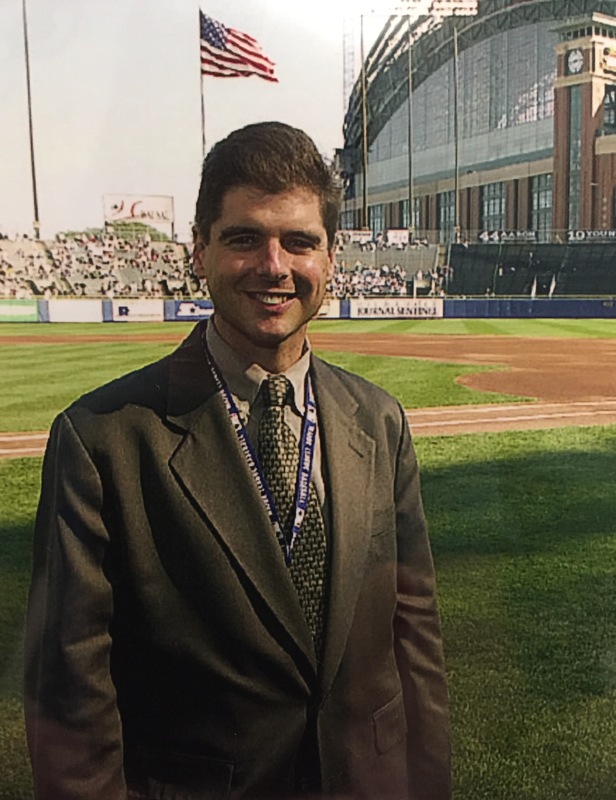 Bucek said his most important legacy was leading the development and design of Miller Park, the home of the Milwaukee Brewers. Throughout the ’80s and ’90s, the Brewers drew more than 2 million fans only once in a season. Since Miller Park opened in 2001, the Brewers have broken that barrier 10 times and have drawn 3 million fans three times. Even last season, when the team finished 36 games under .500, it finished in the top half in major league attendance. Michael Bucek at the final Brewers game at Milwaukee County Stadium. He led the development and design of Miller Park, the new home of the Brewers. “It is pretty remarkable,” Bucek said. 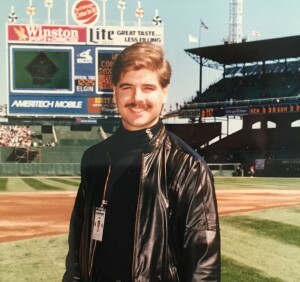 Bucek got his first major league job in fall 1988 with his boyhood team, the Chicago White Sox, as their director of marketing and broadcasting. The following season, the team finished in last place and persuaded barely 13,000 fans a game to pass through the turnstiles of decaying Comiskey Park. By 1993, the White Sox were back in the playoffs for the first time in a decade and playing in a new ballpark that was regularly hosting more than 2.5 million fans a season. Bucek at the final game at old Comiskey Park in 1990. While with the White Sox, he was on the marketing team that organized the first “Turn Back the Clock Day” in 1990. The idea of the influential promotion was to re-create the atmosphere of 1917 for one game—players dressed in replica uniforms; the public address announcer used a megaphone. The gimmick was so popular that it set off a trend that continues around Major League Baseball. “That was the one (promotion) that really stands out,” Bucek said. Bucek began in the sports business in the mid-’80s with the Phoenix Firebirds, a minor league baseball team. He was hired to put together broadcasts but ended up doing everything from parking cars to selling concessions. He eventually became the youngest general manager in Triple A baseball at age 27 and credits his time there with developing his diverse skill set. It was an experience that eventually led to the 2015 World Series. The Royals flew Bucek and other staff to New York for what turned out to be the title-clinching game. Bucek spent the game on the edge of his seat as the Royals fell down two runs early before rallying to tie the game in the ninth inning and win in extra innings. Statistics in this story came from baseball-reference.com, espn.com, and mlb.com.